For less urgent trouble online, or general feedback on the website, please contact the Marketing Manager on 01646 694192. 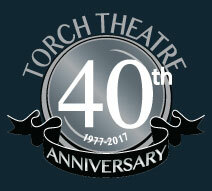 The Torch Theatre Company is a company limited by guarantee number 1327289. A not-for-profit registered charity number 508985. VAT number 2145301 53 A member of the Theatrical Management Association.